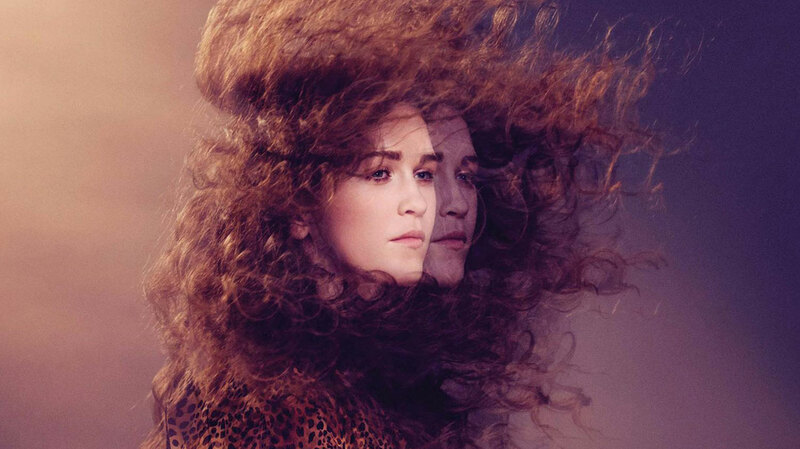 Still possibly best known for lending vocals to Bombay Bicycle Club single 'Luna', Rae Morris is poised to become a huge star in her own right. 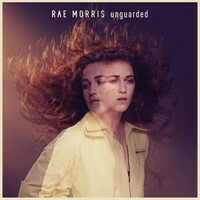 We gave the Blackpool-born singer-songwriter a call to discuss her recent BBC Sound of 2015 nomination, and to find out what we can expect from her full-length debut, Unguarded. Congratulations on the BBC Sound Of 2015 nomination, Rae. How are you feeling now the adrenaline has died down? Thank you! I guess I feel really thankful that I’ve been included in something that’s created so much noise. Everybody seems excited about the new year now, which is great because it means people are ready to take on all this new music. Which of the other nominees do you rate? I feel bad picking out certain people because the whole list is really cool! I’m a big fan of SOAK; I think she’s awesome. Also, James Bay and I go back pretty far, from playing gigs on the circuit. And then I’m a big fan of Låpsley and the Years & Years guys too, so loads of people. I just feel super-lucky and excited to be included in the longlist. Whatever the result, we’re all friends so we’re all going to be happy for each other. People are quite obsessed with age in this industry. For me, it was about releasing the right album, and not any old album at the right time. So can you tell us how you first got into music, please? What’s your earliest musical memory? Oh wow. Well, I remember being about three years old, dancing around the kitchen to Harry Connick Jr., really feeling his big band music. My mum had a VHS tape of his – I don’t know why, because we weren’t really into jazz and blues. But I definitely enjoyed that at the time! What was the first record you parted with your pocket money for? PJ Harvey, Stories From the City, Stories From The Sea, from HMV in Blackpool. I actually only bought it because I liked the look of the cover - I didn’t know who she was! I bought Rid Of Me at the same time, because she looked really cool on the cover. So that got me into female singer-songwriters. I began writing when I was 17. I went from Blackpool to Preston for college, and having all those new experiences, and meeting all those new people – including lots of musicians – opened up this whole other world. I wrote my first song then, and slowly built up a collection that I could play live. Preston doesn’t receive much coverage in the music press, perhaps because of its proximity to Manchester. What’s the scene like? Yeah, I think it’s the same for Blackpool, as well as towns like Blackburn and Bolton. There’s still a good music scene in Preston. I’d go and do open mic nights at the Mad Ferrett every week, and there were so many amazing songwriters you just couldn’t believe it. Nobody knew about it for ages, and then labels from London started coming up and watching the gigs. It was a really exciting time. Prior to that, had you considered taking up music professionally? I hadn’t actually thought about it being an option. I had a friend that was signed and doing really cool things, so I was aware that it was something that could happen, but I knew it wasn’t going to happen. And then when I got a few messages from people saying they wanted to come to my gig, it was surreal. It was the most exciting time ever, because I couldn’t get my head around it. It’s been three years since you signed with Atlantic Records. Was it always the plan to take your time with your debut album? Absolutely. When I signed, I’d just turned 18 and didn’t really know what I was doing, so was really conscious that I wouldn’t do the stereotypical thing of rushing into [releasing an album]. I think people are quite obsessed with age in this industry. For me, it was about releasing the right album, and not any old album at the right time. I was really lucky that Atlantic gave me that space and time to breathe, and to try to figure out what it was that I wanted to do. You must have matured a great deal as a songwriter in those three years. Yeah, I think maybe it’s more about learning what’s important, and they’re usually the things that you already knew. All those instinctive feelings that you have when you start out, they could quite easily be lost. So rather than crowding those out with new knowledge, it’s about being able to keep going. I actually feel like I’ve been able to cement my personality and figure out who I am as a human, and what I want to achieve. For the benefit of people who are yet to hear Unguarded, what can they expect? It’s a collection of songs that I have been writing from the age of 17 to now, so I would say it’s a journey. The songs have been part of the growing experience, and along the way I’ve stepped away a from the piano a little bit – because that’s where I wrote most of them – and started experimenting with electronic sounds. It combines the different textures and tones of synthetic sounds, with real, organic instrumentation from lots of amazing musicians. It’s meant to be an emotional album, so hopefully [listeners] will feel it. How did Ariel Rechtshaid become involved in the project? It was actually through my label; I hadn’t heard of him. I was initially quite wary of working with somebody outside the UK; living in Blackpool at the time, I was conscious of being uprooted. But I went out to L.A. to meet him and we got on really well, and both completely understood what it was we should do. What did he bring to the recording process that previous producers hadn’t? I think it was his personality. He has this calm nature, like, “This is what we’re doing so don’t worry about it, and don’t be over thinking it. We’re just going to get some amazing musicians in the room and go to some incredible studios.” I’d definitely been over-thinking it previously, worrying, ‘This is the album, so we have to make this into a big deal and step it up.” I think really it just needed to be simplified, so he was good for that. Lyrically, are you seeing any themes that unite the tracks on the album? I think so, yeah. Now it’s a finished body of work, I can look back on it and see that I do write about similar things. I’m quite honest about my emotions so, in a way, the songs are diary entries. I tend to ask quite a lot of questions and I’m quite open about not having the answers, and because of that the last song on the record, ‘Not Knowing’, really summarises that. Can you tell us more about the title track, please? To me, ‘Unguarded’ was the missing piece of the puzzle. I’d finished all the other songs for the album and writing the song was about me finding out what the whole album was about. It’s just a declaration of, “This is me, this is who I am, this is what I want, and I’m not hiding behind anything.” It’s an honest depiction of me. There’s a song called ‘Mourne Fortune’ that I love that because it’s about my relationship with my family. It just feels like the most important song at this stage of the album. You’ve had a fantastic twelve months, so we were wondering how your hopes for 2014 compare to the reality? Well, I finished making the album at the end of last summer, as in 2013, and I think I expected to come back from LA and put the album out straight away. So I guess, in my head, 2014 was going to be all about the album coming out. Now the fact it’s been delayed feels like it is for the best; it would have been a whole different story if we would have put it out any earlier. Now feels like the right time. So where would you like to be in your career this time in 12 months? I would like to be sat here saying that I’ve had a full year of touring and have done a proper festival season. I just really want the experiences! I’m just craving to do some TV things, and to meet some amazing people and be inspired by them. It feels like it’s happening now, and I just want to take it all in and have a really interesting year.